As part of our school action plan this year we have signed up to be part of the ‘Rights Respecting Schools Award’. This is a Unicef UK programme that aims to put children’s rights at the heart of schools in the UK. They work with thousands of schools across the country to embed children’s rights in their ethos and culture to improve well-being and develop every child’s talents and abilities to their full potential. 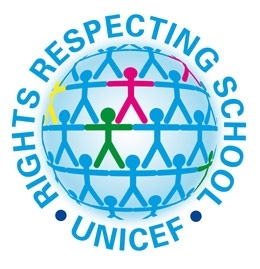 St Catherine's will work with UNICEF on a journey to become a fully Rights Respecting. School and receive ‘The Award’ which recognises a school's achievement in putting the United Nations Convention on the Rights of the Child (CRC or UNCRC) into practice within the school and beyond. This will already compliment a lot of work that is covered regarding values and we look forward to all the wonderful work and knowledge children will acquire along the way. CHALLENGE! - If you like a challenge why not google UNICEF and the RRSA. Find out as much information as you can. Make it a project that you can present to others or create a power point for an assembly in school. Good luck!